The German photographer Mat Hennek made a lot of Portrait photos of renowned classical artists and musicians, i.e. Hilary Hahn, Krystian Zimerman, Claudio Abbado, Sir Simon Rattle etc. and also takes Advertising photos for major brands such as Montblanc, Lufthansa, Rolex and Volkswagen. 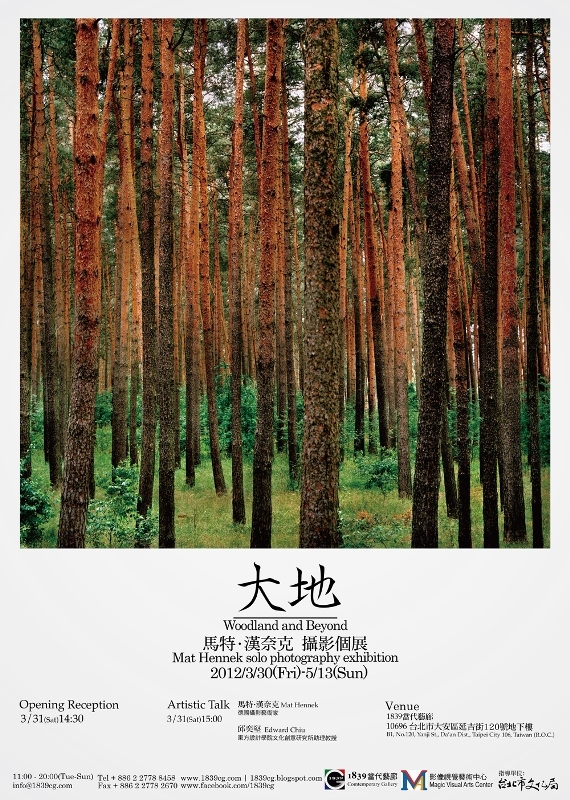 This exhibition showcase his series of latest Fine Art Photographs i.e. Woodlands, Trees of Tel Aviv, Landscapes etc.